The vice chancellor reportedly said Jodha Bai was married off to Mughal emperor Akbar to secure power. 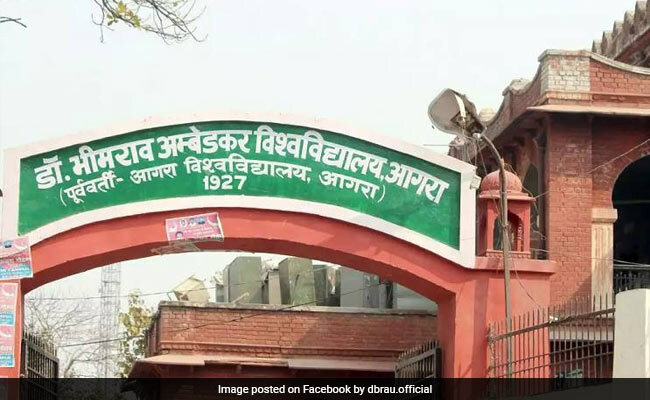 Akhil Bhartiya Kshatriya Mahasabha members have held a series of protests, demanding the dismissal of Agra university vice chancellor over a remark on Rajput queen Jodha Bai. Although the vice chancellor of Dr Bhimrao Ambedkar University, Arvind Dixit, has apologised for his statement made at a seminar on Balmiki Jayanti on Wednesday, the members have demanded that he be sacked. On Thursday, the Mahasabha members burned his effigy and protested. The protest continued on Friday. Mr Dixit reportedly said Jodha Bai was married off to Mughal emperor Akbar to secure power. In a written statement to the media, Mr Dixit said his statement was misunderstood and taken out of context. Separately, a group of students are protesting at the campus against inadequate sports kits. Their protest turned violent on Thursday, when they indulged in stone-pelting. During the protest, a dozen people, including the chief proctor and the registrar of the university, were injured. The vice chancellor has warned the students of strict action. University officials were trying to restore order ahead of the annual convocation on October 29.